Do you love to hunker down, curl up and just have a retreat? Maybe enjoy the fall afternoons by wrapping up in a warm scarf and going for a nice walk enjoying all the colors of fall? Or are you more of a fun seeker who goes crazy over Halloween and festivals? It doesn’t matter because New York City has it all! 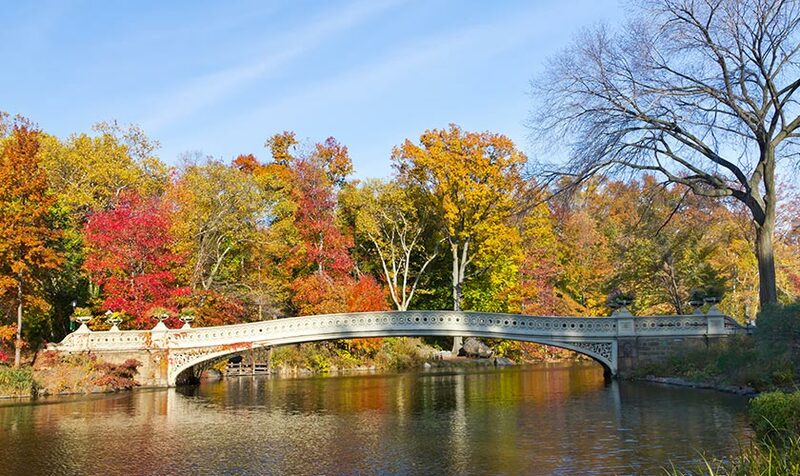 Central Park is a great place to truly enjoy the season of fall with all the beautiful colors of the changing leaves, the fresh crisp air and the beautiful landscape of New York City’s central park. There are tons of events to participate in. -For all those dog lovers out there or even if you want to get a good laugh you may want to look into to the Tompkins Square Park Halloween Dog Parade in East Village on October 24th at 12:00pm. If you’re a “Curious George” or a bit of a rebel check out the Open House New York. It is an annual weekend-long event, which allows you to explore off-limit parts of New York such as historic buildings, architectural masterpieces and sundry landmarks. The official dates for Open House New York Weekend are Saturday, October 17 through Sunday, October 18, 2015. – Want to have a Halloween binge? There are plenty of Spooky bars to enjoy with friends and family. From Critic’s pick of The Porterhouse at Fraunces Tavern to Lucky Strike in SOHO and the Headless Horseman in Gramercy. Whatever you want to do this October, you can find it in NYC. Let us be your personal concierge and make this Halloween season stress free.